John James Rickard Macleod was born on September 6, 1876 at Cluny, near Dunkeld, Perthshire, Scotland. He was the son of the Rev. Robert Macleod. When later the family moved to Aberdeen, Macleod went to the Grammar School there and later entered the Marischal College of the University of Aberdeen to study medicine. In 1898 he took his medical degree with honours and was awarded the Anderson Travelling Fellowship, which enabled him to work for a year at the Institute for Physiology at the University of Leipzig. In 1899 he was appointed Demonstrator of Physiology at the London Hospital Medical School under Professor Leonard Hill and in 1902 he was appointed Lecturer in Biochemistry at the same College. In that year he was awarded the McKinnon Research Studentship of the Royal Society, which he held until 1903, when he was appointed Professor of Physiology at the Western Reserve University at Cleveland, Ohio, U.S.A.
During his tenure of this post he was occupied by various war duties and acted, for part of the winter session of 1916, as Professor of Physiology at McGill University, Montreal. In 1918 he was elected Professor of Physiology at the University of Toronto, Canada. Here he was Director of the Physiological Laboratory and Associate Dean of the Faculty of Medicine. In 1928 he was appointed Regius Professor of Physiology at the University of Aberdeen, a post which he held, together with that of Consultant Physiologist to the Rowett Institute for Animal Nutrition, in spite of failing health, until his early death. Macleod’s name will always be associated with his work on carbohydrate metabolism and especially with his collaboration with Frederick Banting and Charles Best in the discovery of insulin. For this work on the discovery of insulin, in 1921, Banting and Macleod were jointly awarded the Nobel Prize for Physiology or Medicine for 1923. Macleod had, before this discovery, been interested in carbohydrate metabolism and especially in diabetes since 1905 and he had published some 37 papers on carbohydrate metabolism and 12 papers on experimentally produced glycosuria. Previously he had followed the earlier great work of von Mering and Minkowski, which has been published in 1889, and although he believed that the pancreas was the organ involved, he had not been able to prove exactly what part it played. Although Laguesse had suggested, in 1893, that the islets of Langerhans possibly produced an internal secretion which controlled the metabolism of sugar, and Sharpey-Schafer had, in 1916, called this hypothetical substance “insuline”, nobody had been able to prove its actual existence. Others had made extracts of the pancreas, some of which had proved to be active in affecting the metabolism of sugar, but none of these products had been found reliable, until Banting and Best, jointly with Macleod, could announce their great discovery in February 1922. The process of manufacturing the pancreatic extract which could be used for the treatment of human patients was patented; the financial proceeds of the patent were given to the British Medical Research Council for the Encouragement of Research, the discoverers receiving no payment at all. Subsequently, the active principle of these earlier pancreatic extracts, insulin, was isolated in pure form by John Jacob Abel in 1926, and eventually it became available as a manufactured product. Earlier, in 1908, Macleod had done experimental work on the possible part played by the central nervous system in the causation of hyperglycaemia and in 1932 he returned to this subject, basing his work on the experiments done by Claude Bernard on puncture diabetes, and Macleod then concluded, from experiments done on rabbits, that stimulation of gluconeogenesis in the liver occurred by way of the parasympathetic nervous system. Macleod also did much work in fields other than carbohydrate metabolism. His first paper, published in 1899, when he was working at the London Hospital, had been on the phosphorus content of muscle and he also worked on air sickness, electric shock, purine bases, the chemistry of the tubercle bacillus and the carbamates. In addition he wrote 11 books and monographs, among which were his Recent Advances in Physiology (with Sir Leonard Hill) (1905); Physiology and Biochemistry of Modern Medicine, which had reached its 9th edition in 1941; Diabetes: its Pathological Physiology (1925); Carbohydrate Metabolism and Insulin (1926); and his Vanuxem lectures, published in 1928 as the Fuel of Life. 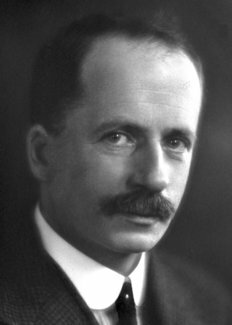 In 1919 Macleod was elected a Fellow of the Royal Society of Canada, in 1923 of the Royal Society, London, in 1930 of the Royal College of Physicians, London, and in 1932 of the Royal Society of Edinburgh. During 1921-1923 he was President of the American Physiological Society, and during 1925-1926 of the Royal Canadian Institute. He held honorary doctorates of the Universities of Toronto, Cambridge, Aberdeen and Pennsylvania, the Western Reserve University and the Jefferson Medical College. He was an honorary fellow of the Accademia Medica, Rome, and also a corresponding member of the Medical and Surgical Society, Bologna, the Societá Medica Chirurgica, Rome, and the Deutsche Akademie der Naturforscher Leopoldina, Halle, and Foreign Associate Fellow of the College of Physicians, Philadelphia. Macleod was a very successful teacher and director of research. His lucid lectures were delivered in an attractive manner and his pupils and research associates found him a sympathetic and stimulating worker, who demanded exact work and the humility that was a feature of his character. He would not tolerate careless work. He was much interested in the development of medical education and especially in the introduction of scientific methods of investigation into clinical work. Outside the laboratory he was keenly interested in golf and gardening and the arts, especially painting. A sensitive, loyal and affectionate man of engaging personality, his serene spirit met with courage and optimism the painful and crippling disabilities which troubled the final years of his busy life. Macleod was married to Mary McWalter. He died on March 16, 1935.